Musician, activist, humanitarian, Pete Seeger was a giant of a man who walked humbly on this Earth and inspired us all to be a little less selfish and more courageous in our giving. 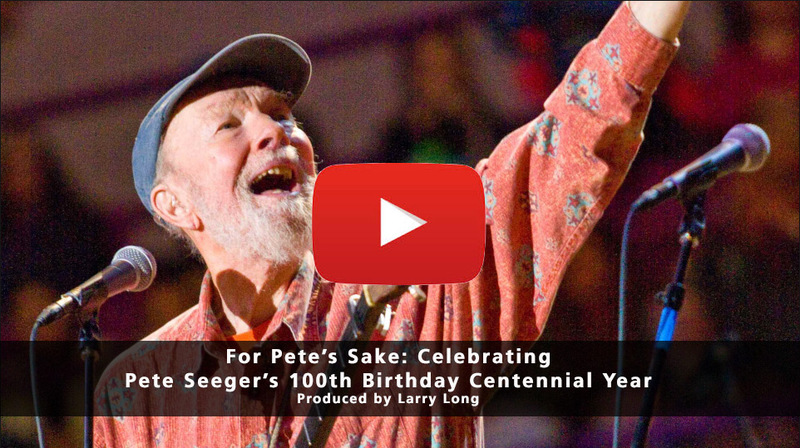 On this Centennial year of his birth on May 3rd 1919 we pay tribute to this great American in this one-hour radio broadcast, where community leaders and activists recite the words of Pete Seeger and musicians perform songs that Pete Seeger either wrote or popularized. The program begins with Pete Seeger himself sharing his life story with us in spoken word within his song Well May The World Go from my Smithsonian Folkways & Appleseed recording. Pete Seeger cared deeply for his neighbors, and we cared deeply for him, because the entire world was Pete’s neighborhood. Pete Seeger and I were dear friends for over thirty years. Con­versations with Pete just kept flowing into laughter and inspiration to keep on trying to make this world a little better than it was when it was handed down to us. Please take the time to listen. You’ll be glad you did. As Executive Producer of Dodging Bullets, Larry Long is honored to announce it’s Mexico Premiere: Fundraiser for the Huichol Scholarship Fund. Native Americans have been dodging bullets since their first contact with Europeans. This film brings together a collection of Indigenous people, researchers, and politicians from the United States to examine the underlying reasons for disproportionately high incidences of health and social issues among Native Americans. The remarkable personal stories and expert analysis in this film point to historical trauma as the insidious legacy of colonialism that resilient Native Americans continue to dodge today. continue to struggle against the personal and political impacts of colonialism. Bullets, Larry Long, and Brian McDougall from the Huichol Scholarship Fund. Larry Long’s new release, Slow Night, transports the venerable singer-songwriter with folkie roots into the contemporary realm inhabited by musician-producer Cory Wong and Antwaun Stanley (lead vocalist for Vulfpeck), plus members of Prince’s brass section, The Hornheads and Cory Wong’s Green Screen Band. As for the new three new tunes, Wong and band provide a rich, polyphonic edge to the title track Slow Night: “We really played with the song’s cool vibes, ‘cuz it’s the best modern pop tune he’s ever written – and it’s very tasty!” Long’s new song to his daughter, “My Love for You,” and the picturesque postcard from “Puerto Vallarta” round out a satisfying set created by Long, Wong and the rest of musicians on this sweet, funky – AND YES, “very tasty” six-song CD. For 4 years I have donated my time as Executive Director of the award-winning indie film Dodging Bullets. This film affirms most everything I have learned through bringing Elders’ Wisdom, Children’s Song to communities large and small throughout this nation. The film documents Historical Trauma which is prominent in Native American communities. Historical Trauma is a term used by social workers and psychologists, it refers to the cumulative emotional and psychological wounding of a group of people caused by traumatic experiences. This trauma is epigenetically passed down from one generation to another and causes health care problems in today’s generation. Mark your calendars on December 12, 2018, for a special evening of music and storytelling with legendary singer-songwriter Larry Long and Friends, along with special guest Winona LaDuke, Anishinabe leader and co-founder of Honor the Earth. “A Night Celebrating Water Protectors” will also feature a fine meal of heritage foods from Winona’s Hemp and Heritage Farm on the White Earth reservation – and a select short films and slides — as part of a benefit for the indigenous environmental justice non-profit, Honor the Earth. Artisan gifts and products will also be available for purchase at the event. Long and company will perform at the Historic Holmes Theater (806 Summit Ave, Detroit Lakes, MN 56501 /218 844-7469)with percussionist Daryl Boudreaux (Sounds of Blackness), bassist Sid Gasner, pedal & lap steel virtuoso Joe Savage (Prairie Home Companion). Doors open at 5:00 p.m. The concert and dinner start at 6:00 p.m.
Tickets are $25 the day of the concert and $20 in advance; $20 is the suggested free will donation for dinner. Seating is limited. Tickets are on sale now at www.honorearth.org/larrylongconcert. There’s a Soul Train coming and you better get on it! The ever-changing American Roots Revue** will feature an extraordinary line-up of Soul Power when singer and playwright Jeveeta Steele of the legendary Steele Family joins the core members of the Revue, singer and actress Tonia Hughes, gospel master, Robert Robinson, and songsmith, community builder and American Roots Revue producer, Larry Long, * for two shows at the Dakota November 10, 2018, at 7:00 and 9:00 p.m. The scintillating foursome will be backed by a superlative band led by rising star, guitarist, songwriter, and producer Cory Wong (international touring artist & guitarist for Vulfpeck), with Joe Savage (pedal steel), Yohannes Tona (bass), Billy Steele (piano) and Petar Janjic (drums). The evening will mark the six-song CD release by Larry Long, Slow Night*, in what might be his most musically rich and exciting work yet. 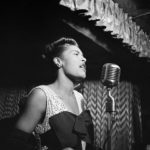 It’s going to be a night to remember as the group offers up hand-picked material by Jevetta Steele, Tonia Hughes, Robert Robinson, selections from Long’s new release, and tasty cuts from Wong’s latest recording. Larry Long with be joined by Daryl Boudreaux (Percussion), Joe Savage (Pedal Steel), Sid Gasner (Bass) and special guest poet Larry Schug on Friday, November 16th, for an intimate main series concert at Bo Diddley’s in St. Cloud, Minnesota. Larry Long is a chip off the old block of American hardwoods, a spoken word poet, a singer-songwriter, rouser, seeker, storyteller and conservationist. Well traveled across the world, wherever he goes, he celebrates people and places in song. Long’s sense of place and time is eloquently captured in his recorded music and in the powerful community building he’s done with elders and children all over the country and abroad. Never far from his gaze are the struggles and poetry that bring people together, whether through headline historical events or the quiet celebrations of everyday lives. Slow Night – 3 New Larry Long Tunes and 3 Re-Imagined Classics! Larry Long’s new release, Slow Night, transports the venerable singer-songwriter with folkie roots into the contemporary realm inhabited by musician-producer CoryWongand Antwaun Stanley(lead vocalist for Vulfpeck), plus members of Prince’s brass section, The Hornheadsand Cory Wong’s Green Screen Band. As for the new three new tunes, Wong and band provide a rich, polyphonic edge to the title track: “We really played with the song’s cool vibes, ‘cuz it’s the best modern pop tune he’s ever written – and it’s very tasty!” Long’s new song to his daughter, “My Love For You,”and the picturesque postcard from “Puerto Vallarta”round out a satisfying set created by Long, Wong and the rest of musicians on this sweet, funky – AND YES, “very tasty” six-song CD. Slow Night by Larry Long was produced by Cory Wong and mixed by John Fields (Miley Cyrus, Switchfoot, Jonas Brothers, Pink, and Demi Lovato). 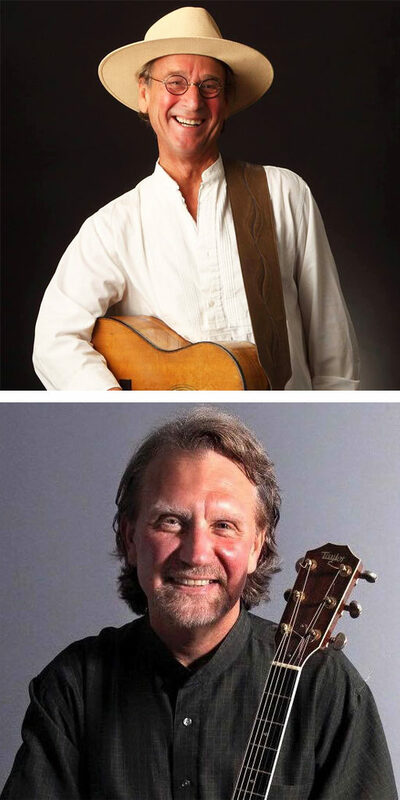 Lanesboro Arts presents an evening with roots musicians Larry Long and Dan Sebranek at the historic St. Mane Theatre in Lanesboro on Friday, October 19th, 2018 at 7:30 p.m. Sebranek is returning to Lanesboro after a 2017 concert with Johnsmith, while Larry Long’s visit is happening in advance of a 2019 tour stop at the St. Mane with his celebrated “American Roots Revue” band. This concert is presented by LANESBORO ARTS and sponsored by Inspire(d) Media, Commonweal Theatre, Granny’s Liquors and High Court Pub. Tickets are $15 / $12 for Lanesboro Arts members and are sold online at www.lanesboroarts.org; at Lanesboro Arts Gallery, 507-467-2446; and at the St. Mane Theatre box office beginning at 6:30 p.m. on the night of the play. The St. Mane Theatre is located at 206 Parkway Ave N. in Lanesboro, Minnesota. The St. Mane Theatre box office will open at 6:30 p.m. the day of the event. Remaining tickets will be sold in-person beginning at that time. Lanesboro Arts is committed to accessibility for all people. Learn more about our access services. Milan is the featured community for a multi-artist collaboration highlighting story and song on Saturday, October 13th, from 3:00 pm to 6:30 pm. The Milan Community Festival of Story and Song features traditional Micronesian and Dakota music, the culmination of memoirist and sailor Glenda Reed’s storytelling workshops, original ballads by Smithsonian Folkways artist Larry Long with American Roots Revue featuring the soulful Tonia Hughes, Adam Levy of the Honeydogs, JD & Billy Steele from Grammy Award-winning Sounds of Blackness and the dynamic Steele family. GoodSpace Mural’s will also announce the project design for their upcoming public art piece in Milan. Free and open to the public. 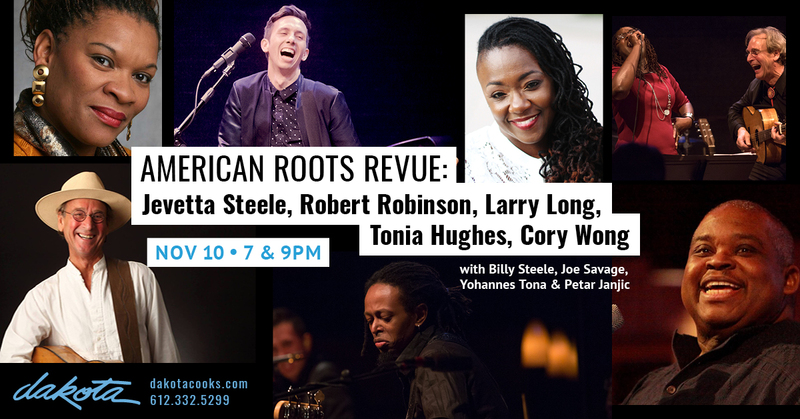 5:00 – 6:30 pm Larry Long Presents American Roots Revue with Tonia Hughes, Adam Levy, Billy & JD Steele. Burger Feed Fundraiser at the American Legion from 4:30-7:30 or until gone, plate includes a burger, beans, and chips for $7. 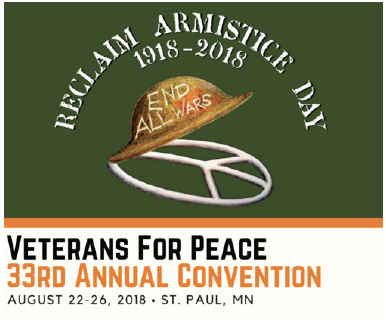 This activity is made possible by the voters of Minnesota through a grant from the Minnesota State Arts Board, thanks to a legislative appropriation from the Arts & Cultural Heritage Fund. 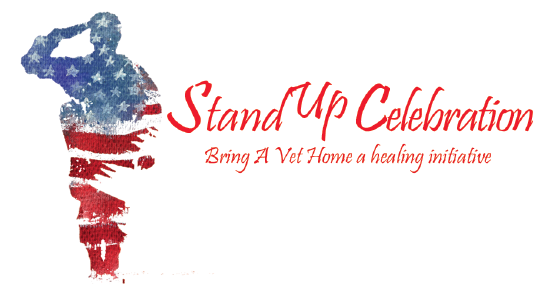 Stand Up Celebration: Bring A Vet Home’s Two Day Music Festival & Forum For Healing will be held August 24th & 25th at the Stearns County Fair Grounds in Sauk Centre Minnesota. Proceeds from this event benefit veterans who are in need of shelter and in crisis. On the evening of August 25th Larry Long will be performing and closing out the evening with his new song entitled Welcome Home. Other artists include Madison Rising, Darby Ledbetter, Hitchville, Parry & Paul Peterson, Tyler Reese, Connie Lee, ABRACADABRA (members of Steve Millers Band). American Roots Revue Legacy Tour in five rural Minnesota communities will bring together several of Minnesota’s most gifted performers and arts educators: JD Steele (Mr. Steele and his dynamic vocal siblings, “The Steeles”, have garnered nearly every major music award and accolade that Minnesota has to offer), Billy Peterson (Bass player, songwriter, composer, session musician, producer, and oldest musical son of the renowned Peterson family), Tonia Hughes (Tonia’s vocal style is colored with melodic acrobats and elements of Gospel, Blues, Jazz, R&B, Rock and Worship), Cory Wong (Besides being the guitarist for Ben Rector, American Roots Revue and Vulfpeck among others, Cory tours internationally as a featured artist), Petar Janjic (Petar Janjic may be young, but he has already proven himself to be a standout drummer in the Twin Cities), Larry Long (Smithsonian Folkways Recording artist who has made his life work the celebration of everyday heroes), Adam Levy (Producer, guitarist & lead singer-songwriter for The Honeydogs), Robert Robinson (Pavarotti of gospel), Yohannes Tona (Ethiopian born Minneapolis bassist rooted in Afro-beat to Latin-Jazz, to Neo-soul, Funk and Reggae), Joe Savage (Pedal steel multifaceted perennial musician), and Billy Steele (piano, vocal, another member of the dynamic Steele family and producer of the Grammy Award winning Sounds of Blackness). MTN – Channel 17 is airing American Roots Revue live performance on January 13, 2018 from the Dakota Jazz Club and Restaurant with Larry Long, Cory Wong, Haley, Antwaun Stanley, Kevin Gastonguay, Petar Janjic, Kevin MacIntire, Joe Savage and members of The Hornheads.